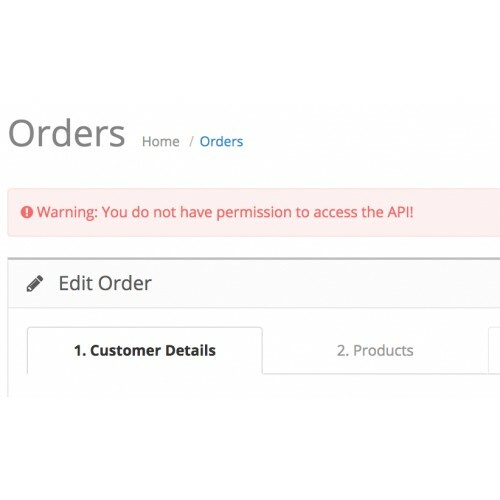 Warning: You do not have permission to access the API! 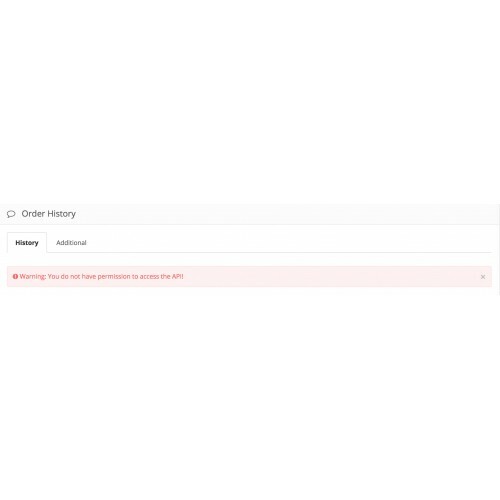 I'm not sure is it a oc bug, this issue is happen when we open the order info page, the api will login by ajax automatic, and register a session called 'api_id'. 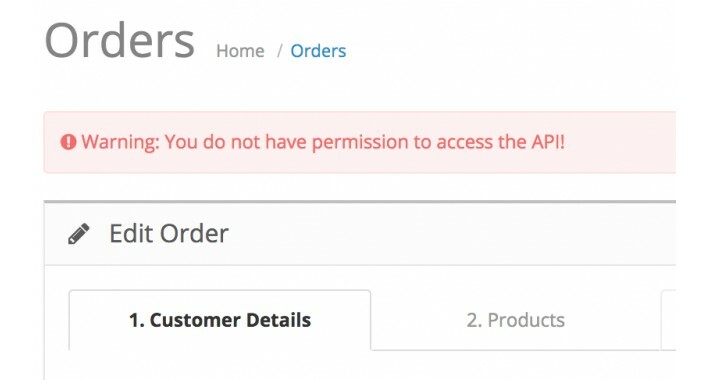 But when I try to change my order's status, I'll get API error because the api_id is not exist!? It's really strange, where is my $session['api_id'] !? Anywhere, if you have same issue like me, and you've try these steps already.... Than you can try my extension after. My extension will add a new function in api.php, if order's ajax can't find api_id session, it will go get the api_id from your db by session_id and token string. Hope it can help you, good luck!!! After install: Go Extension / Modifications (extension/modification), click Refresh button.